Are you trying to make plans with your friends this weekend, but can’t seem to decide on a place to meet up? There’s a new app called Begroupd that wants to help solve all of your problems when it comes to organizing plans with your friends and family members, and it’s backed by none other than Khloe Kardashian. Although the original idea came from Lindsey Cummins, Khloe Kardashian has been heavily involved in its development. 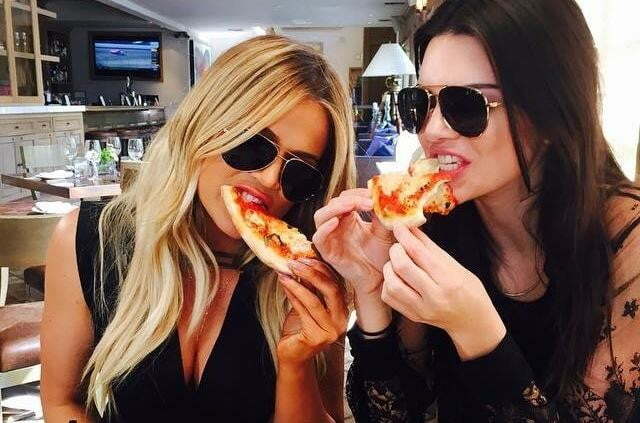 Lindsey Cummins told Business Insider she came up with the idea after she was having a hard time planning a simple night out with friends. In addition to all the basic messaging functions you’d expect from WhatsApp or Facebook Messenger, Begroupd’s unique feature lets you send a bunch of different options to your friends, and then asks them to vote for their favorite idea. 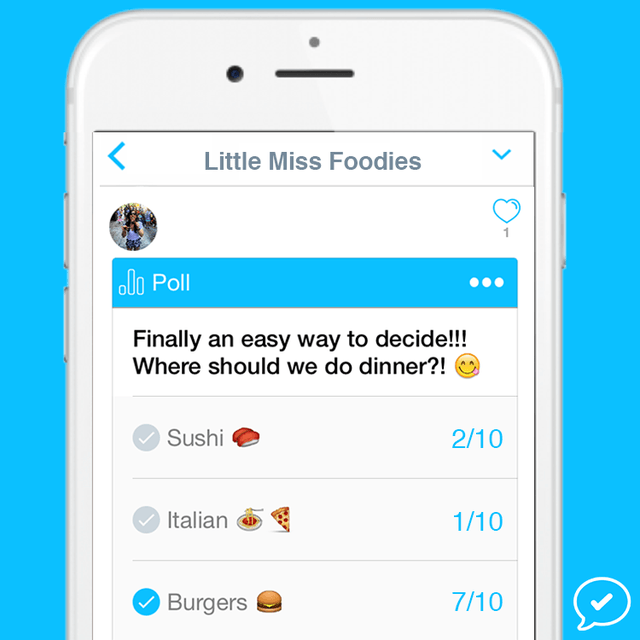 Begroupd tallies all of your friends’ responses, so you can easily see how many votes each option has received. That way, you don’t have to track all of your friends’ answers to figure out the most popular option. You can also pose yes or no questions, ask for RSVPs to events, request ratings on a scale from 1 to 5, and so on. While most of these polling options are geared toward events, you could also use the ratings and yes/no features to make snap decisions. For example, you could send a picture of a new pair of shoes you’re trying on to all your friends and ask them to rate them, or snap a pic of a few outfits and ask your friends to help you choose for one for a special occasion. 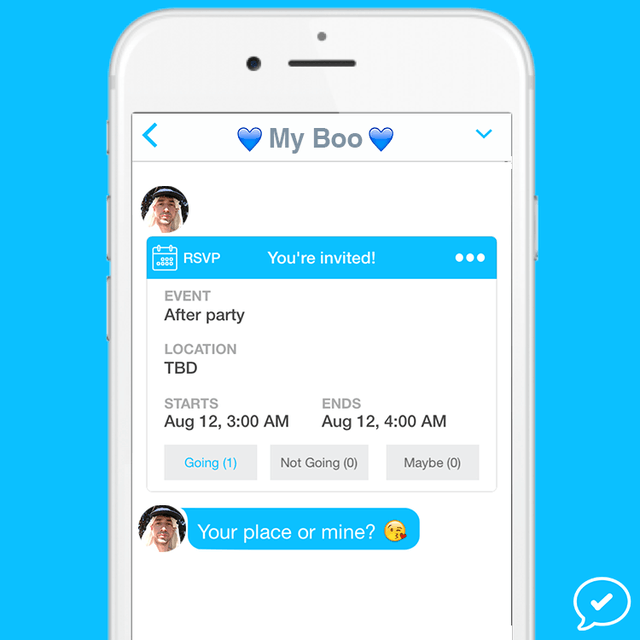 All your friends’ responses are organized neatly into folders: RSVPs, Yes/No, Ratings, etc. You can also see conversation threads instead of just the polls. The organized nature of the app seems to have appealed greatly to Kardashian. Begroupd is the second mobile app made with the help of a Kardashian. It was just last year that Glu Mobile worked with Kim Kardashian to launch Kim Kardashian: Hollywood game, which was downloaded more than 28 million times. You can download Begroupd from the App Store here.